What is there that we can do? Not much to the existing colonies. This is where the ‘train leaves the station’. Make sure that hives are tilted slightly forward to keep moisture from pooling on the bottom board (no need to tilt so much as to make it a bee’s Funny House, they like level given a choice). Entrances should be restricted to the smallest opening, for mice exclusion as well as drafts. It benefits the colony to make available a top entrance hole on the front of the hive. This allows bees to come and go easier in addition to the bottom entrance. Keep this entrance on the front of the hive so as not to create a cross draft if possible. A moisture board, a blanket (wood shaving filled super) or even just a burlap sack can be placed over the top brood box to absorb excess moisture that might condense and then drip down on the girls due to temperature contrasts. A good idea is to place some kind of insulation for the top of the hive as this is where heat loss and condensation is most active. Even a piece of styrofoam on the top of the hive, weighted down so as not to fly off, would be of great assistance in the stabilization of hive temperatures. 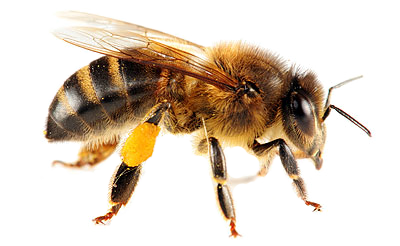 Honey supers (if filled) can be left on for the bees if you pull honey in the spring. Empty or unused supers should be off by now. Feeding liquid food should have ceased. If your hive is light on stores, you may place fondant on top of the bars or use a winter feeder for such. Wrapping hives is a good idea, but do not overwrap or make it into a watertight mummy of a hive..which encourages moisture retention. Have a windbreak for your hive if you do not wrap. Or spoil them and do both (no good deed will go unpunished). Harsh wind can remove covers, so strap the hive or use a very heavy weight to keep the covers down on the hive. The hive is set up for ‘the big cold’ already, so breaking propolis seals or doing unnecessary manipulation can do more damage than good. As for varroa mites, there is one winter treatment that works well as brood is now drastically reduced: oxalic sublation, or vapor. However, varroa mites should have been addressed by now, with this last option as a follow-up and being done if you know the hive is still seeing more mites than is your preference (currently recommended by Randy Oliver at 3%, or 9 mites per a 300 wash). 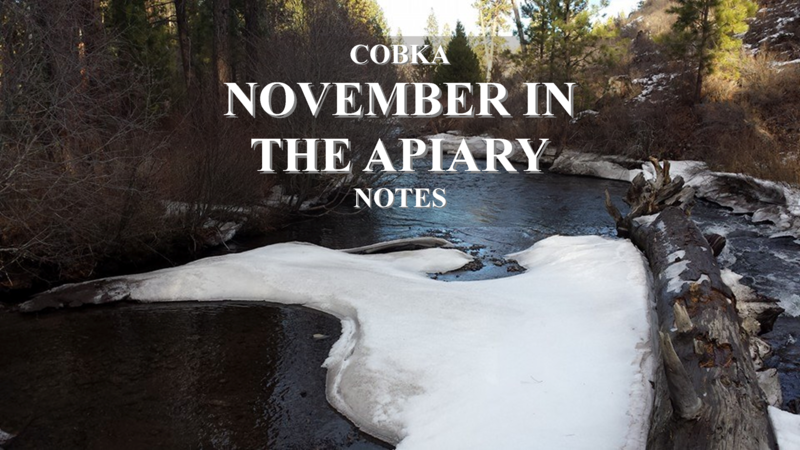 Many thanks to Kim from Backyard Bees of Bend for these November notes! !